When I started writing this blog my main goal was to find the best cruelty-free products I could find. Along the way, however—as I’ve learned more about the beauty and cosmetic industry—I’ve also gained a greater awareness of the sheer number of unnecessary, and often ‘iffy’, chemicals/toxins that we expose ourselves to everyday with our use of cosmetic and beauty products. If modern medicine has determined that medicines can pass through our skin (our largest organ) then it stands to reason that when we apply chemicals in our shampoos, body creams, perfumes etc. to our body then we risk these also passing into our bodies. Hair care is one of the areas where I’ve struggled to find great toxin-free natural products. While I now have my favourite cruelty-free brands (De Lorenzo, Kevin Murphy, and AG Hair), unfortunately non of these qualify as ‘natural’. creating effective personal care that steers people away from the toxic chemicals typically connected to illness and disease, allowing them to discover that you don’t have to sacrifice your health for beautiful skin and hair. They offer a number of different shampoo and conditioner types—including volume, straightening, volume and hydrating— and with my frizz-prone hair I opted for the Ultra-Hydrating options for both. Priced at just $16.95 a bottle the shampoos and conditioners are great value, and are also in fact great products. The Ultra-Hydrating versions are, however, almond based and although my hair felt great, I couldn’t stomach the intense marzipan smell (something I have always detested ever since I was a child). I loved the products however, so am planning to try the Smooth and Manageable versions next which are coconut based so hopefully more pleasant to smell. I also bought the Deep Root conditioner ($24.95 and intended to be used as a 5 minute mask 1-2 times a week) and the Leave-In conditioner (just $16.95). Both of which are awesome products and I now use every week! 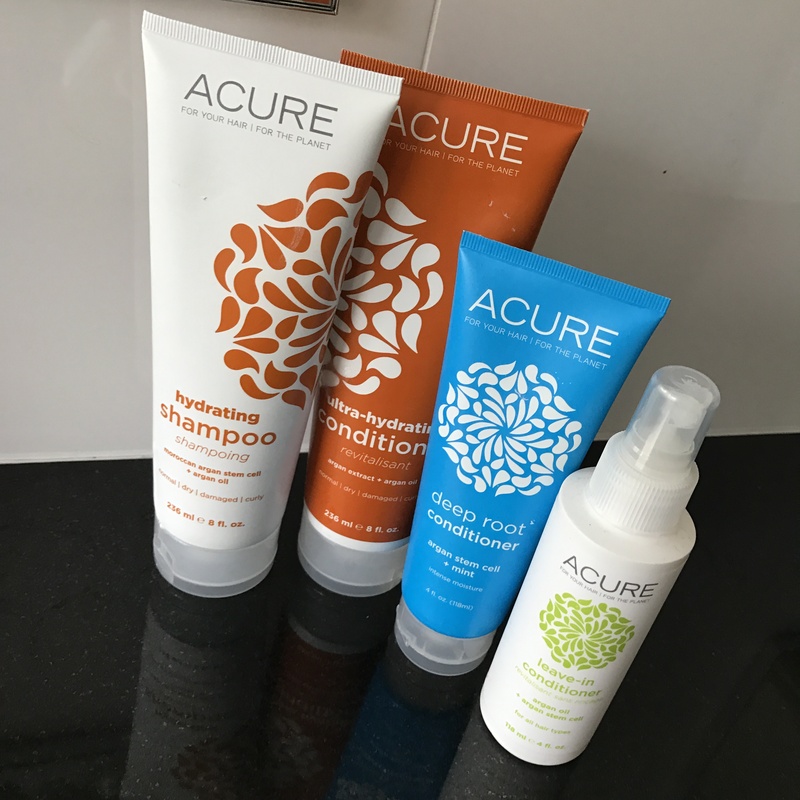 So – if you’re looking for a cruelty-free and toxin-free hair care range then I definitely suggest you try the Acure range.